Lovely 4 bedroom detached Villa with private pool overlooking lake. Very convenient for Disney and all major tourist attractions. There are 3 bedrooms with a queen bed and 1 bedroom with twin single beds. 1 ensuite full bathroom and 1 further full bathroom. 1 downstairs cloakroom. Kitchen with table and 4 chairs and French doors onto pool area. Dining area with table and 6 chairs and French doors into pool area. Lounge with 3 leather sofas and French doors onto pool area. 55" ultra HD 4 k TV and blu ray player. Extended caged pool area with 4 sun loungers and table and 6 chairs. En-suite bathroom with bath/shower over, wc, 2 x vanity sink. Bathroom 2 bath with shower over, wc, 1 x vanity sink. Downstairs cloakroom with wc, 1 x vanity sink. Free calls within USA and land line calls to Europe. Large double garage with electric door. Lounge/Dining room Table 6 chairs , CD/radio , 55” HD TV with Spectrum HD equiv to Sky HD with over 1000 chanels incl English football. 3 seater and 2 X 2 seater leather sofas 2 side tables & 1 centre table, vaulted ceiling, french doors to pool. Spacious kitchen with electric range, fitted microwave above with extractor fan, large fridge/freezer, dishwasher table and 4 chairs. Patio doors to pool area. Too spectrum package with over 1000 channels incl sports channels with English football. About 15 dvd’s. Films & children’s. Extra large pool area with 4 sunloungers and table & 6 chairs. Notes on accommodation: Air-conditioning. Free wi fi Outside: 15ft X 30ft private heated pool. Heating costs extra if required. The patio/pool area is larger than most with 4 sun loungers table and 4 chairs. Utility Room: Washing machine and tumble dryer in garage. Cleaning / Towels / Linen / Maid service: Towels and linen included. Great house with easy proximity to Austin-Tindall Park. My son and I found this house to be very comfortable during our stay in Kissimmee. He had a sports tournament at Austin-Tindall Park and we were able to shuttle back and forth taking breaks out of the hot sun during the day. House was great. Pool was great. Used washer & dryer in the garage to clean uniform and other clothing each evening. I would highly recommend this property and will probably try to stay here again next year during the same sports tournament. This was a lovely house, we stayed for 3 weeks and enjoyed spending time at this house. We have stayed in a number of different properties over a number of visits and this house was a good as any we have tried. The extra large pool area was certainly a bonus as was the south facing pool. Pool heating was great. Good range of kitchen utensils and equipment, bedding and towels. The Management company were responsive and represented by a lovely person. I'm so glad you had a nice holiday and enjoyed the house. Hopefully you will think of staying with us should you return to this part of Florida. 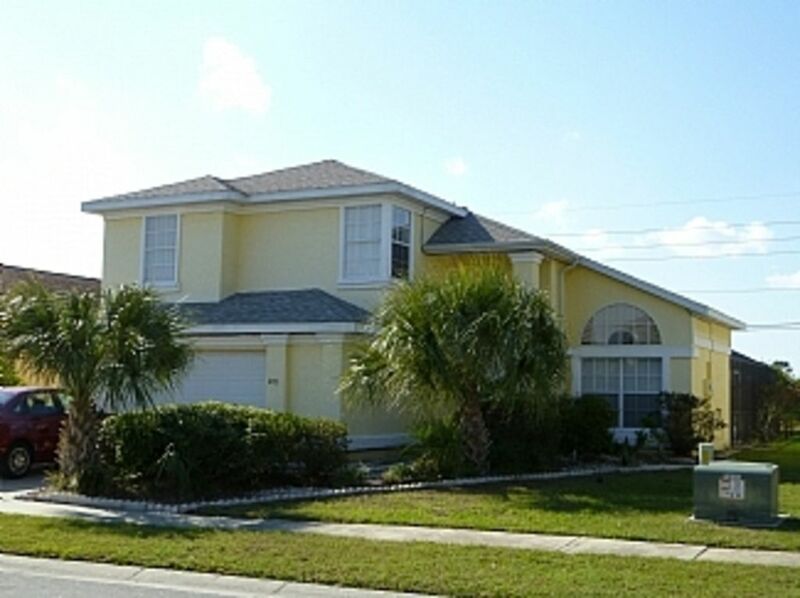 A very good value in central Florida convenient to theme parks and golf courses. The property was clean, comfortable, and thoughtfully appointed providing our party a home away from home. The pool was very inviting after a day on the links and the neighborhood was quiet and peaceful. The property manager was accessible and responsive to our needs. Thank you Joe, It sounds like you had a good time. Did you mean to just leave me a 1 star rating........I hope this was a mistake and you can change it for me. This home was just what we were looking for! Was clean and spacious. Perfection! Had a wonderful time. Would recommend to all! I'm glad you had a lovely holiday. Hopefully you will think of staying with us next time you visit the area. We have just returned from holiday and already wish we were back there. Very large property, so had lots of space. The pool was amazing, just what we needed at the end of long days at the Disney parks. Great location near plenty of shops and easy drive to the theme parks. Would come back again in the future! 15 mins from the airport. 20 mins from Disney on direct Osceola Parkway. Convenient for shops and restaurants.